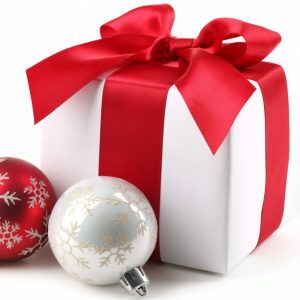 Christmas will be upon us very soon, with only two weeks left until it is time to give – and hopefully also to receive – gifts. 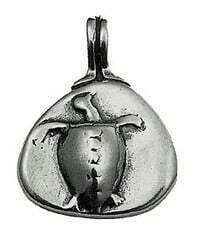 Maybe you are still looking for inspiration as to what to give to a friend or loved one who is fascinated by the Ancient World, or who loves Turkey, Greece or Italy? Or perhaps you are pondering what you’d like to find in your own stocking? Lately, members of Peter Sommer Travels’ team have also been thinking about Christmas presents, and come up with a number of ideas. 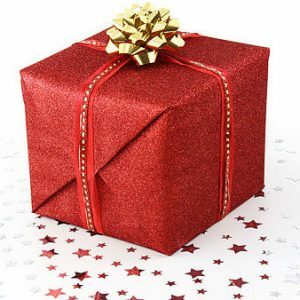 So, here’s our very first list of Christmas Gift suggestions. Not surprisingly, it’s mostly books. After all, what better use is there of those long winter nights than to immerse oneself in a good read, perhaps dreaming a little of next summer’s travels. For our Australian and New Zealand readers: aren’t those long summer evenings a perfect time to relax and read, planning a pleasant escape from the Southern hemipshere’s next winter!. Our Christmas suggestions include many books that have been published in 2013, but also an old favourite as well as a surprise or two! Peter is the founder and guiding spirit of Peter Sommer Travels. The company’s history began with his first tour In the Footsteps of Alexander in Turkey back in 1996, resulting from his intense exploration of the country and its antiquities in previous years, It was soon followed by our still growing range of tours in Turkey. Between his studies, his work making TV documentaries and his guiding, Peter has always been passionate about communicating and narrating the past to those who love it. A History of the World in 12 Maps, by Jerry Brotton, Viking 2013. We are all used to seeing maps of the world, but we rarely think about them. Ranging from Ptolemy’s Geography of the mid-2nd century AD via Mercator’s famous 1569 Map of the World, to today’s Google Maps, cartographer and historian Jerry Brotton offers a fascinating insight into the history of map-making. Twelve excellent reproductions of important historical maps, veritable landmarks in the development of cartography, form the base of this impressive work. A deep and rich exploration of how we see the world through maps and how those maps affect the way we see it. 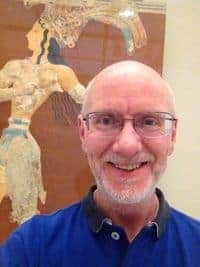 Michael, whose many skills include a specialisation in reading ancient Greek and Latin inscriptions, has lived and worked in both Greece and Italy. He has developed our entire programme of tours in Italy, although his interests reach far beyond that area. Currently he leads all our Italian tours, and is engaged in setting up additional ones. His recommendation is very directly related to one of the many highlights on our Cruising the Amalfi Coast tour, which he will be leading in September 2014. 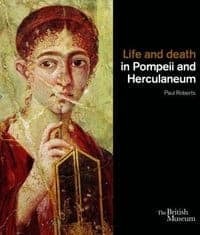 Life and Death in Pompeii and Herculaneum, by Paul Roberts, British Museum Press 2013. Published to accompany the remarkable Pompeii exhibit that took place at the British Museum in 2013, this is a remarkable book. Most reviews included the term “lavish”, which it truly deserves. Its 320 pages include about 250 vivid colour images. The text is highly informative – and moreover very accessible. 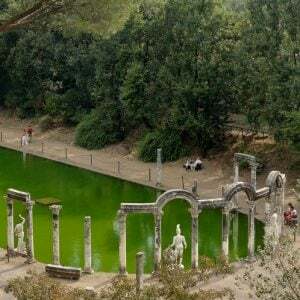 The book’s main focus is the daily life of those who lived in the two Roman cities, from domestic architecture and interior decoration via garden design, dining habits and personal hygiene, to the destruction wreaked by the eruption of Mt. Vesuvius in AD 79. For a lively and well-illustrated insight into Roman life, it is second to none. Heinrich is responsible for most of our tours in Greece. 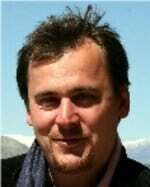 He has been based in Athens since the early 2000s, but has also spent much time working and exploring on the island of Crete. He is especially, but by no means exclusively, interested in the prehistory of the Aegean region, an area he has travelled extensively. 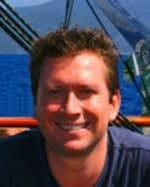 His recommendation is pertinent to nearly all our trips in Greece, Italy and Turkey, as well as to areas far beyond our current range of trips, but especially to Exploring Crete and Cruising to the Cyclades. The Making of the Middle Sea: A History of the Mediterranean from the Beginning to the Emergence of the Classical World, by Cyprian Broodbank, Thames & Hudson 2013. This long-awaited volume, fresh off the press, is by one of Britain’s most respected prehistorians, who has just been appointed to the University of Cambridge’s prestigious Disney Professorship. The Making of the Middle Sea is unique in its scope and its approach, a narrative treating the entire Mediterranean from its geological beginnings to the advent of Classical Antiquity, i.e. the point where most histories start, for once giving due and holistic attention to the region’s immensely important role in the prehistoric underpinning of later history. While certainly scholarly, the book is not just aimed at an academic audience. A must-read for lovers of archaeology. The Landmark Herodotus, edited by Robert Strassler, Free Press 1996. On most of our gulet cruises, the onboard library includes the Landmark Herodotus. We already recommended it earlier this year on this blog. This wonderful edition of the Father of History’s famous work combines the never-ending fascination of Herodotus’ approach, ranging from a nearly modern rationalism to a scurrilous taste for anecdote, with a rich array of topical maps and illustrations. It makes what used to be a feared duty text for student of the Classics an actual joy to read. Made in Sicily, by Giorgio Locatelli, Ecco 2012. If you have been on one of our tours, you will have realised that we take food very seriously, seeing it as key expression of our destinations’ local histories and traditions, and one of the royal roads towards experiencing, understanding – and most of all enjoying – a region and its culture. Needless to say, that applies to all our trips, land or sea. Beyond that, food is key aspect on many of our “Exploring…” tours, e.g. in Sicily, Athens, Crete, Macedonia and Istanbul. It takes centre stage on our designated gastronomic voyages in Turkey and Sicily. We know that many of our guests try to emulate the delights they encounter with us in their own kitchens, which is why we provide Turkish and Greek recipes on our website, but there’s always more to be found… Locatelli’s book includes an enormous array of Sicilian recipes – but still only a small window into that island’s vast culinary tradition. It’s a given that Peter Sommer Travels’ staff do a lot of reading, as we are eager to keep up with new developments in the archaeological research of the areas we travel. But we’re not the only ones! Most of our guests pursue a wide range of interests, and we are always curious to hear what they’ve been reading. Jim Cleary has, so far, been on no less than six of our tours. A proud Welshman, he’s based in London and maintains a very active interest in antiquity, not least through his volunteer work for the British Museum. An incessant traveller and avid reader, he has kindly offered a suggestion of his own. 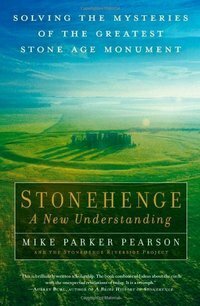 Stonehenge – A New Understanding: Solving the Mysteries of the Greatest Stone Age Monument, by Mike Parker Pearson, The Experiment Publishers 2013. Although it is not (currently) on any of Peter Sommer Travels’ itineraries, Stonehenge is one of the most fascinating and impressive archaeological sites in the world, mysterious and alluring at the same time. Parker Pearson has spent most of the last decade investigating the site itself and its surroundings, including 45 archaeological excavations! His book presents a very accessible account of the site’s role and development between 3000 and 1500 BC. Sometimes, reading is not the answer. Now and then, you just want to sit back and enjoy. There are many fascinating and informative documentaries we could recommend, including some of Peter’s own (especially his acclaimed Tales from the Green Valley, the award-winning 12-part BBC series that explores and recreates explores life on a British farm in the 17th century), but on this occasion, let’s be a little provocative. After all, Peter Sommer Travels started with a trip focusing on Alexander the Great, so here we go. Alexander Revisited, the Final Cut, directed by Oliver Stone, 2004. 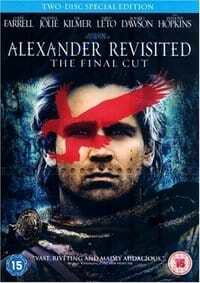 Oliver Stone’s take on Alexander is unlikely to be counted among the greatest films ever made. It has suffered from overblown expectations and a host of other issues, but it does deserve and does reward a second look. It has a dazzling cast (Colin Farell, Anthony Hopkins, Angelina Jolie, Val Kilmer and so on) and a grandiose scope, covering the great king’s whole life. In Stone’s own words, the director’s cut is the “undiluted, unrated, uncensored film, required by the story itself”. The story is a compelling one, because that’s the essence of Alexander, but most importantly, the battle scenes are great fun! Heinrich, who lived in Dublin for 11 years, approves of the “Macedonian” accent… Additionally, it’s not expensive. One of our favourite missions is to present the rich histories and cultures of the regions we travel to children and adolescents. That’s why we offer our special family tours – and this is a range of activity we hope to develop further. For our young guests, the experience of exploring the mysteries of the past and the adventure of foreign lands and their intricate histories makes for unforgeable holidays, for us it is a sheer pleasure to interact with fresh minds. Especially on our cruises, we try to carry books that are aimed at young people, but a pleasure for any age to read! Tales from Nasreddin Hodja, compiled by Cengiz Demir, Tughra Books 2010. Nasreddin Hodja is the classic jokester of Turkish tradition and literature. Probably alive in the 13th century, he was a down-to-earth philosopher, formulating his thoughts through humour. Countless anecdotes and jokes are accredited to him, all of them expressing a profound but very accessible, in itself a comment on the human condition. This book is a collection of some of Nasreddin’s most famous tales. Well, sometimes a book or DVD just won’t do. If what you are looking for is a sophisticated, long-lasting and high-quality present for someone with a love of the past, why not go for a hand-crafted replica of an ancient piece of jewellery? The wonderful Benaki Museum in Athens (featuring on our Exploring Athens tour) has an online shop offering excellent reproductions of ancient finery, objects to be valued for their beauty and craftsmanship, amongst many other unusual and classy gifts. WHO’D HAVE THUNK OF THIS? Evidently, we cannot offer links for finding that, but why not have a look at our 2014 travel brochure instead – and treat your loved one(s) to the holiday of a lifetime?